Other useful links for regional travel can be found here. Marathon is 2.5 hours from Midland International Airport (MAF) and about 4 hours from El Paso International Airport (ELP), so renting a car is essential if you're not driving in; there is essentially no public transportation. The nearest Amtrack station is in Alpine, TX and is roughly 30 minutes west of Marathon by car. There is one option in Alpine for renting a car. 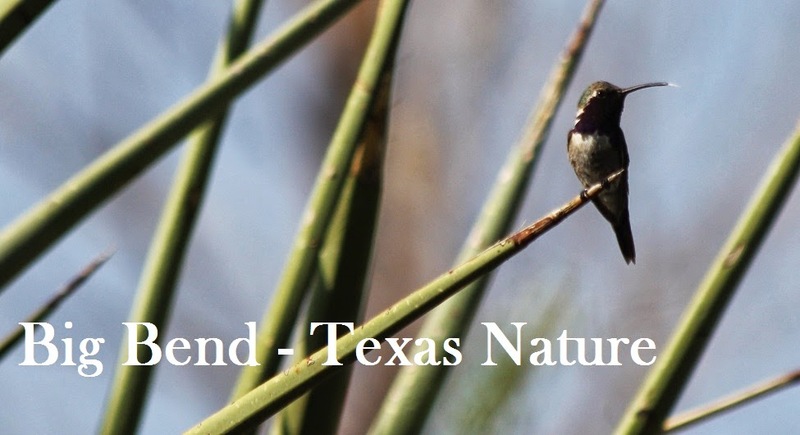 Once in Marathon, you're an hour north of Big Bend National Park, but only about a ten minute drive from Fort Peña Colorado - also known as Post Park - one of the regional gems for birds and butterflies. Several stores in town remain cash-only! The French Grocer - a little bit of everything, with a lot of local and organic options! Located one block north of the main intersection (behind the Famous Burro). No credit card charges under $50 are allowed - purchases under $50 must be paid in cash. Big Bend RV Supply - If you're camping or RVing, or need a ratchet strap or tie-downs or duct tape, stop in and see what Shan and Dewey have in stock! They also make service calls throughout the region if needed! Marathon Info Kiosk - located at the junction of Hwy 90 and Hwy 385, it is a covered stall with brochures and maps, as well as a covered picnic area. Marathon Public Library - Open 2-6 pm Monday-Friday and 10-2 on Saturday (closed for most holidays); some brochures available, but local brains and references are hard to beat. Front Street Books is now, unfortunately, only in Alpine; they are especially known for carrying unique books relating to the region. If you forgot a field guide, they have a variety of bird, butterfly and other wildlife guides. Fantastic breakfast burritos, huevos rancheros, home style cooking, etc. Coffee, sandwiches, soups, and baked goods. Gilda's Grill (Mon-Fri Located in the Shell Station) ** Closed pending rebuild of station. Bar/grill, casual atmosphere and excellent drinks. Also, live music on a regular basis! Located in the middle of town, at the one intersection, facing Hwy 90 and Ave D/Post Road. Across from bank. Can't miss it. Guzzi Pizza Moved to Alpine. Snakebite Saloon Closed until further notice. The Gage Hotel (see comments under lodging); "12 Gage Restaurant" and The White Buffalo (bar) are adjacent to the Gage. Hours are 5 or 6 pm until 10 for the restaurant. Kate Thayer is the mastermind behind this imaginative combination of papercrete construction and lush gardens. With sustainability in mind, the organic approach to food and shelter comes to life in the colorful architecture and layout of this work in progress. It needs to be seen to be believed! Tell Kate, Alaine, and Noble that Heidi & Matt sent you! For an impressive taste of history, The Gage Hotel offers high quality lodging in a beautiful setting. The grounds and garden do offer good opportunities to see birds and butterflies year-round. The Gage offers a separate fitness center (across the street and railroad tracks from the hotel) as well as their adjacent restaurant and bar for fine dining in an intimate setting. The Gage now books Captain Shepard's Inn through the main hotel. There is a pond on the western fence line of the property that regularly attracts a good variety of birds and dragonflies and in the fall the butterfly diversity is concentrated around lantana patches. The evenings in the courtyard are quite pleasant; there's a fire in the fireplace and plenty of stars above. This is a great idea if you'll be in town longer than two days and would like amenities and more privacy; rates are comparable to local hotels! For more Marathon lodging, visit the Marathon Chamber of Commerce. Please note that their information may not be current; call in advance!